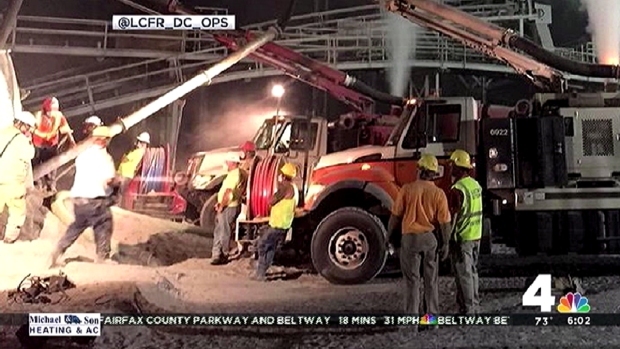 The worker killed after a silo collapsed early Monday at a quarry in Northern Virginia has been identified. Daniel Potter, 18, of Front Royal, Va., was killed, the Mine Safety and Health Administration said Tuesday evening. Potter was unloading mineral filler, a fine, dust-line substance used in asphalt, from a silo before 6:30 a.m. Monday when that silo broke open, sending tons of the material rushing down. Crews scrambled to find Potter for 24 hours, using vacuum trucks to clear debris. 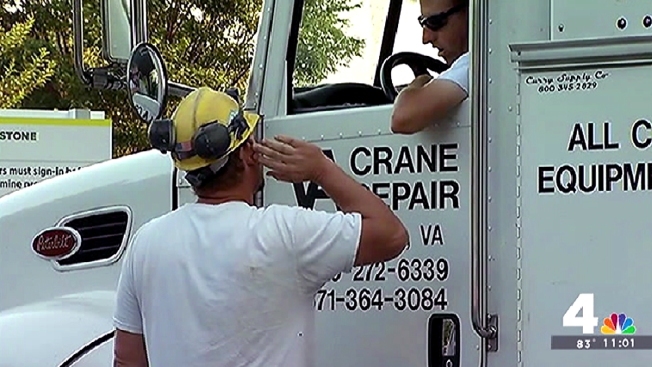 His body was finally found about 6:30 a.m. Tuesday under a collapsed steel structure. 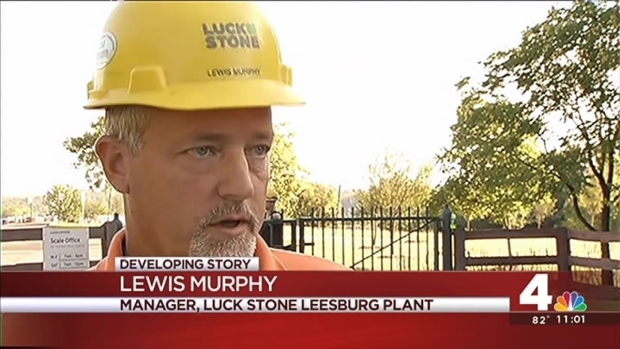 A manager at Luck Stone Leesburg Quarry in Loudoun County said he knew the young man well. "We're very close-knit; we work a lot of hours here together, and we're a family away from home," Lewis Murphy of Luck Stone said Monday. The worker would have turned 19 next month. His family was at the scene. He had been on the job at the quarry for less than a year. The family of the missing worker is at the scene as the search continues, more than 24 hours later. Crews spent all night searching. By early Tuesday, before the missing worker's body was found, crews had removed all the filler and moved onto removing the metal decking that had collapsed inside the silo. Operations paused for several hours Monday so the structure could be assessed for instability and shored up. A full silo of mineral filler weighs 150 tons, but plant managers said they weren't sure whether it had been full. The silo gets emptied every morning. "We typically will empty it by truck, and this morning, the side of the silo split open, ruptured, and the material discharged out onto the ground," Murphy said Monday. The miner was with two or three other workers at the time of the collapse. Those workers were able to give search teams an idea of where he may have been. The 19-year-old has been on the job at Luck Stone for less than a year. He was unloading material from the silo into a truck when the silo "split" Monday morning, plant managers said. The search continued through the overnight hours, with suction trucks, special cameras, listening devices, K-9s, cranes and heavy equipment. Search teams refused to call it a recovery mission until the sad discovery Tuesday morning. Multiple agencies were involved with the search, including Loudoun County Fire & Rescue and Fairfax Fire & Rescue. Plant managers and Loudoun County Fire & Rescue said they do not know what caused the silo to collapse. MSHA, which is an agency of the U.S. Department of Labor, will investigate and issue a report. That investigation could take several months, they said. Across the U.S., 18 people have been killed in mining-related incidents in 2015 thus far. Ten of these deaths were linked to metal mining; 8 were linked to coal mining. Mining deaths fluctuate greatly from year to year and are often skewed by major coal-related incidents, including the 2006 Sago Mine disaster and the 2010 Upper Big Branch tragedy in West Virginia.